Artificial intelligence (AI) made the leap from science fiction to the corporate world some time ago. Amazon and Netflix use it routinely to make purchasing recommendations, iPhone users speak to Siri every day, and banks give investment advice or calculate risks thanks to these technologies. But these are only the first hesitant steps of AI, which is due to have a major impact on the financial sector, as revealed in this report in the magazine Euromoney, and featuring an interview with Marco Bressan, Chief Data Scientist at BBVA. Artificial Intelligence has been present in the financial industry for many years now, Marco Bressan, Chief Data Scientist at BBVA, tells Euromoney: “Currently it denotes a vision of the future; an aspect of the sci-fi imagination; something that you still can’t do. But the truth is senior financial executives have been doing AI-related work, research and deployment of products for years”, he notes. When we talk about Artificial Intelligence we refer to a set of technologies –many created decades ago– rather than one single product or system. The theory holds that AI consists of teaching machines to learn and interact so they can solve cognitive tasks normally done by humans. And this means that a computer must resolve problems, deduce, reason and be able to process natural language. In any case AI is currently booming. Euromoney highlights that the technology companies are the first to make a major commitment. Microsoft, Google and Facebook alone have invested 8.5 million dollars in AI research, procurement and recruitment. The banks are taking a more cautious approach, but there is no doubt that they are paying closer attention than ever before to AI. The current boom in AI is no coincidence, but has been fueled by the maturity of a range of technologies, including cloud computing –with its vast data processing and storage capacity–, and the refinement of techniques such as deep learning and machine learning algorithms. But of all these factors, the one that has had the greatest influence is the enormous volume of data generated by the users. “The data is the key enabler. Suddenly we can work with 10 years of history of every single transaction of the millions of transactions that take place every day, and use that to train some kind of learning algorithm”, says Bressan. To position themselves in AI, banks are beginning to recruit very different profiles to financial ones, including mathematicians, statisticians and data science specialists. This type of professionals are called on to experiment with new uses of data within the organizations and identify how they can be applied in the daily running of the business. Why do banks use AI? In the survey by Baker & McKenzie carried out with Euromoney Thought Leadership, the financial sector identified three main areas where AI will be applied in the next three years. 49% of respondents point to the area of risk assessment as the most useful; followed by financial analyses and investments or portfolio management. 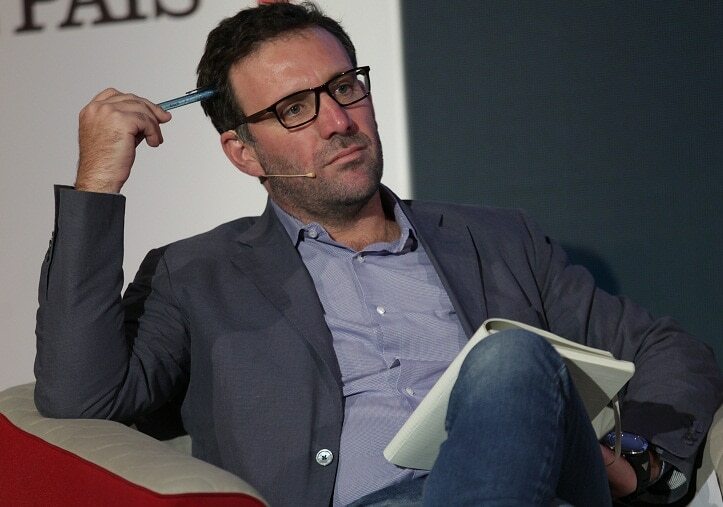 “It’s all about decision-making, internally within the bank and, externally, on the side of the client”, says Bressan, for whom the great potential of AI is its capacity for providing reliable data that help in decision-making –both in business decisions like where to open a branch office or who to give a loan to, or by helping customers in their decisions by providing advice on their investments. In fact, it is in robo-advisers where AI is being applied first, although they are still at a very early stage. Often these days, when the markets are so volatile, the first users of these systems end up demanding an interaction with humans, according to Euromoney. “We’ve got version 1.0 of robo-advisers. Version 1.5 is going to be considerably more robust and user-friendly”, says professor Andrew Lo, director of the Laboratory for Financial Engineering at MIT. The use of programs in customer care services is another of the applications the financial sector is exploring. But again there is still a long way to go before efficient systems are achieved which not only resolve customer’s queries, but can also drive sales through recommendations like Amazon, for example. According to the Oxford University professor Nguyen Trieu, this will be the next step for banks, provided they are able to manage their customers’ data effectively. “AI is about digitization and automation. In all types of banks you still have millions of processes in which a similar task is repeatedly executed. The major trend will be going back and seeing which of these processes can be digitalized and automated. With automation comes the dreaded question of whether we will still continue to need the same number of people to carry out these tasks. What is clear is that AI will bring significant cost savings, which is something investors are demanding from banks. More than job cuts, the financial sector is going to see a change in the professional profiles most closely linked to the new technologies. Is AI the future of the financial sector? Euromoney concludes that it most definitely is. And the banks have to tackle the challenge of updating their technological infrastructures while at the same time embarking on a cultural shift that allows their directors to understand its potential and realize the overriding importance of using data in their business. The interest in artificial intelligence seems ultimately to approximate the search for self-aware systems that can act in a “human” way (known as a ‘Singularity’).